Chefs in action at the newly opened Hyde Park Taco Station. With the opening of the Hyde Park Taco Station at 5300 South Dorchester Avenue, University students no longer have to wait until Tuesdays to get their fix. The restaurant opened about two weeks ago in the former Ribs ’N’ Bibs location. 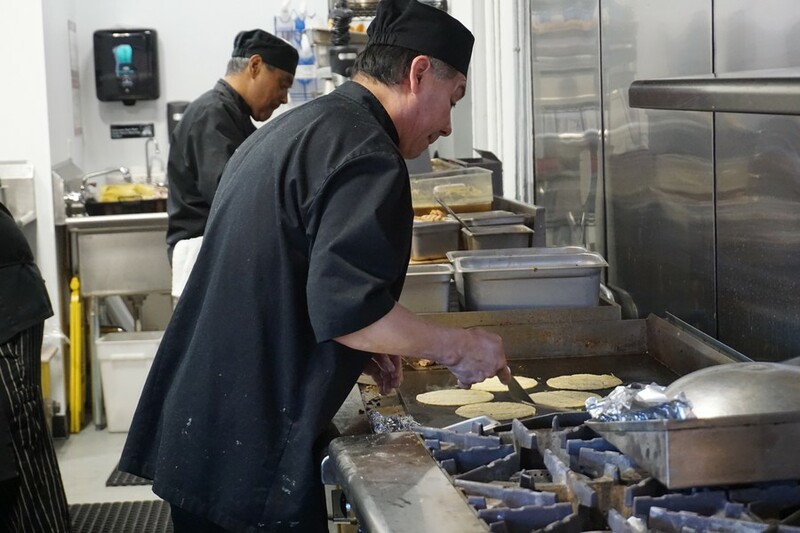 The Mexican restaurant, which is open from 7 a.m. to 4 p.m. daily, features tacos with a variety of fillings, including grilled chicken, vegan tofu, and chipotle shrimp with bacon. In addition to tacos, customers can purchase a variety of salads. In the future, owner Edgar Vasquez hopes to offer an outdoor patio and offer dessert, margaritas, catering, and delivery. In a Hyde Park Herald article from this month, Vasquez said he decided to open a restaurant of his own after years of experience at other Chicago eateries, including Ja’ Grill in Hyde Park and Moonshine in Wicker Park. He added that he was inspired by interactions with the neighborhood’s diverse population of residents. The first-time owner’s main advice to new restaurant owners is to embrace their passion and to build a business that offers something different. For example, Vasquez noticed that despite Hyde Park’s diverse population, there were not many Latin American restaurants to choose from. According to Vasquez, his biggest concerns right now are serving authentic Mexican food to his customers and honoring the reputation that Ribs ’N’ Bibs had spent years building for itself. “The goal was to match the authenticity of food associated with the Ribs ’N’ Bibs location, but merely adapt the culture from which the food originates,” Vasquez wrote on the company’s website.